Having recycled letterheads allows you to make an ethical choice without making any compromise on quality or the price you want to pay. 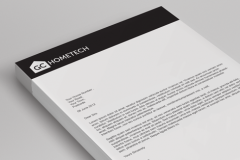 The finish and standard of our recycled paper means your letterheads will be as smart as you could wish, without any loss of definition or print quality. You will also make sure that you can trade with confidence in a world where the Eco credentials of a business are often a key factor that customers take in to account when deciding whether or not to buy from you. Being green doesn't mean you need to spend a fortune on recycled paper when it comes to environmentally friendly business stationery. In fact all our standard products are Elemental Chlorine Free, FSC certified and from sustainable sources. All our litho presses use vegetable based inks, and hold ISO14001 environmental standards certification. What is 6 + two? Buying recycled print from Face Media is easy as our entire printing process is based on eco-friendly and ethical products. The printing machines all use Elemental Chlorine Free (ECF) products and vegetable based inks, and hold the ISO14001 environmental standards certification. The paper and card stock is all either fully recycled, partially recycled (50%) with the balance of the pulp from FSC certified sustainable sources, or made totally from pulp from FSC certified sustainable sources. This allows us to produce high quality printed letterheads on recycled paper that looks good and without any loss of definition or quality, and because the paper is recycled it's actually an economical choice as well. 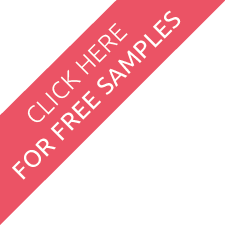 If you are looking to design your letterheads yourself, please feel free to download one of our blank letterhead design templates to help you make the most of your ideas. 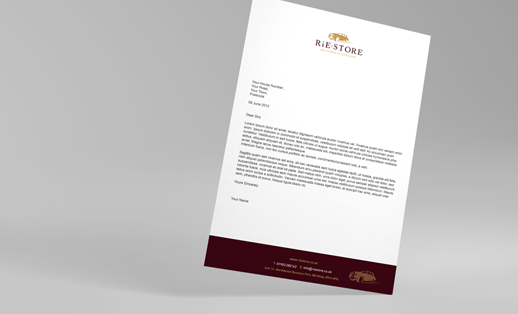 If you would like the help of our professional team to produce a smart and stylish letterhead that shows off your branding to best effect simply fill in the quote request form or call the office and we'll be happy to discuss just what they can do for you.